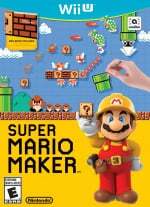 Based on some Game of the Year wins and its continuing popularity, we suspect that a decent number of gamers will be playing a bit of Super Mario Maker over the Holiday season. It's always nice to watch the masters show what the game can do, though, even when they're having an off-day. It's a charming video, in any case, as is often the case when these two game creators team up. My Xmas wish is to be Miyamoto for a day. Just one day, please? Princess peach riding Bowser at 56 seconds in. Then she dissapears....... Baffling. Awesome video I love it when these guys plays games would like them too play other games aswell. Tezuka should have put Mario in the Starfox skin and told Miyamoto - "Now you can play Starfox this year." Surprised/disappointed that they didn't share the course code. Tezuka was totally trolling Miyamoto. Hilarious video, I'd also like to see Miyamoto play other N devs series for the lulz. Something about Miyamoto's smile just makes you feel good inside. Ever since I was a little kid with the NES anytime you saw his face in a magazine in the 80's and early 90's promoting some new Nintendo game/idea he always had that big ear to ear grin. I always would think that must be a great game or system if he looks that excited and happy about it, and he was usually always right. In my opinion he needs to be in more Nintendo marketing campaigns. @BlockPunch Miyamoto was playing it from the editor so they probably didn't even upload it. I really love how Miyamoto always checks if there is a hidden block at the top right corner. It is something of a "signature move" in all of their 2D Mario games. Since I always look for that hidden block too, I feel strangely connected to Miyamoto-san when I see him checking for that block there. Hahaha! 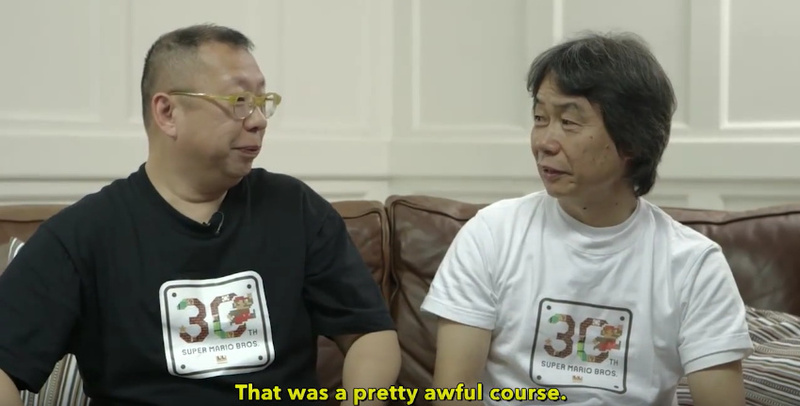 Miyamoto is so charming. He's a good guy. The cool uncle's of your dreams! @shani If somebody has a horizontal warp pipe to exit an area with a little space behind it, I'm always disappointed if they didn't put a hidden block there. Off-topic, but your profile pic is pure genius, and a subtle shout-out to a relatively obscure Simpsons gag. Well done! I'll probably get hate for this, but this video kinda made Miyamoto look bad at Mario games, haha. If he thought that Bowser was unfair, I'd love to see how he would react to some of the Expert Mario Maker courses.